- Initial beta release for MC 1.10.2! - The mod has been rewritten, with all most the great features you remember, and lots of new things too. - Added Scuba gear, maintain the deepest of depths in safety with this extreme gear. - Added sharks, dolphins, piranha, and a whole host of additional aquatic wildlife and features to explore, including a boss! - Koa tribespeople now work hard and party harder, they love to play music whilst dancing by an open fire. 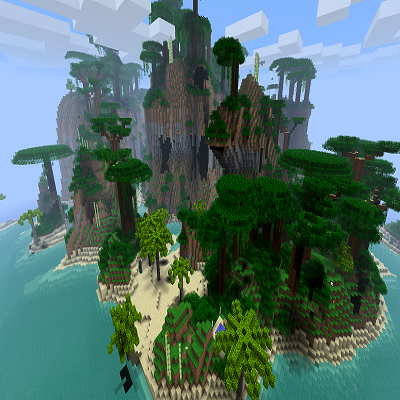 - Beautifully redesigned terrain generation to create perfect tropical paradise islands and lush thick tropical jungles. A more comprehensive list of new and returning features will be available on our wiki soon. Be sure to report any bugs or errors you come across to our Issue Tracker.